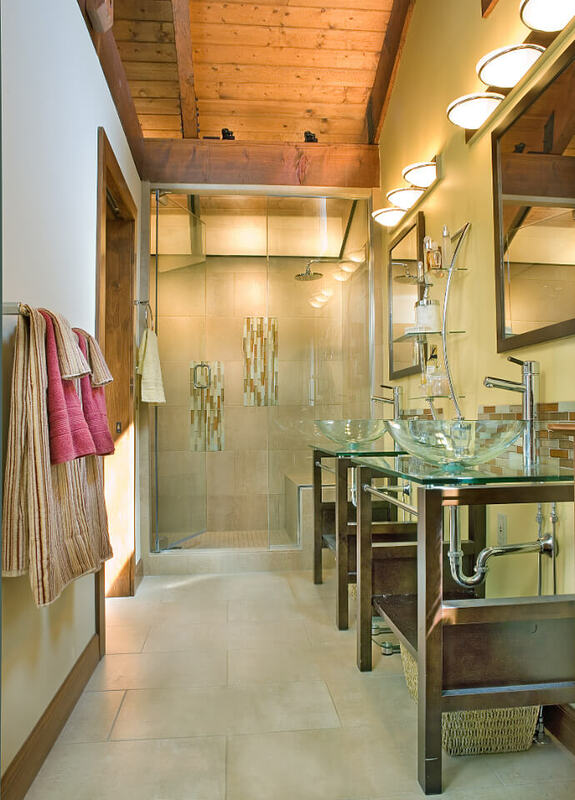 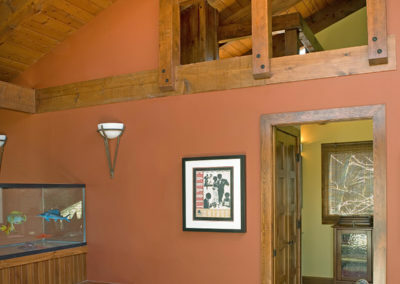 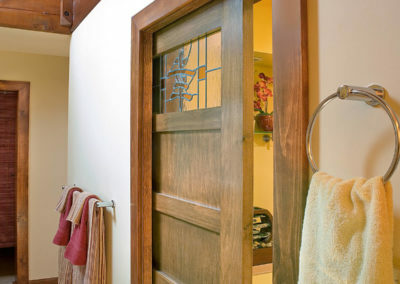 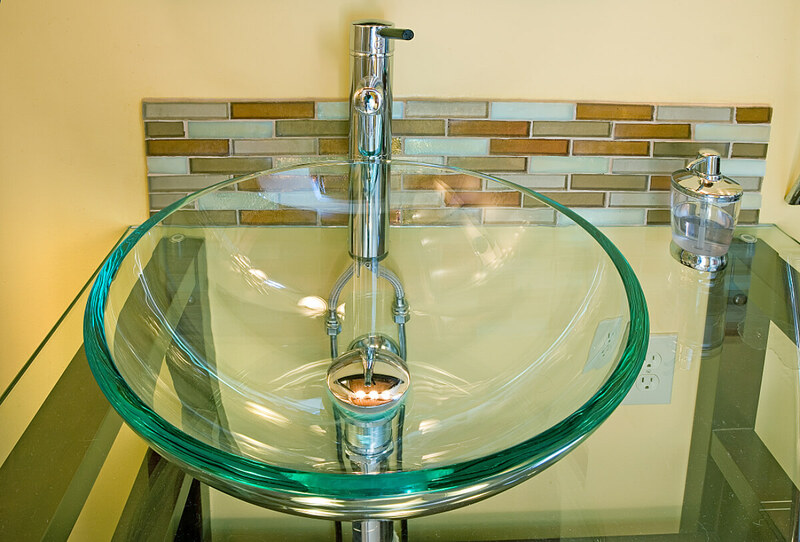 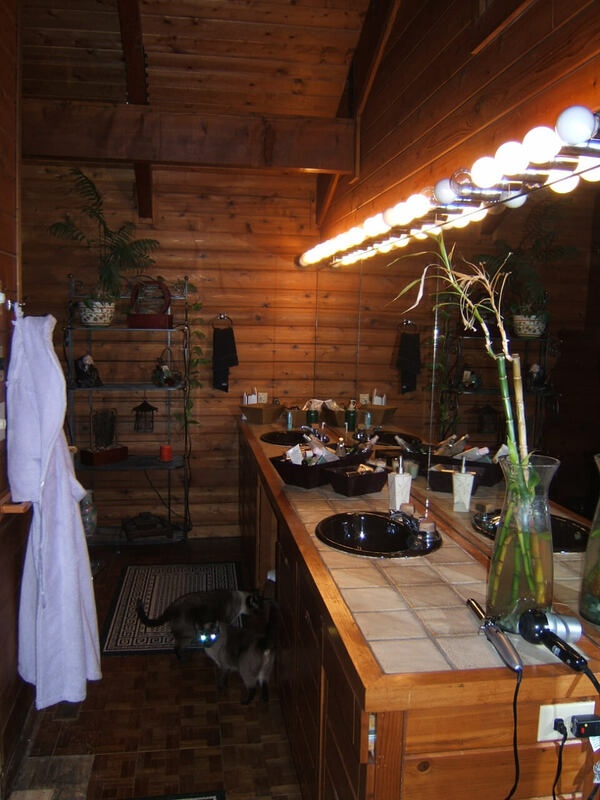 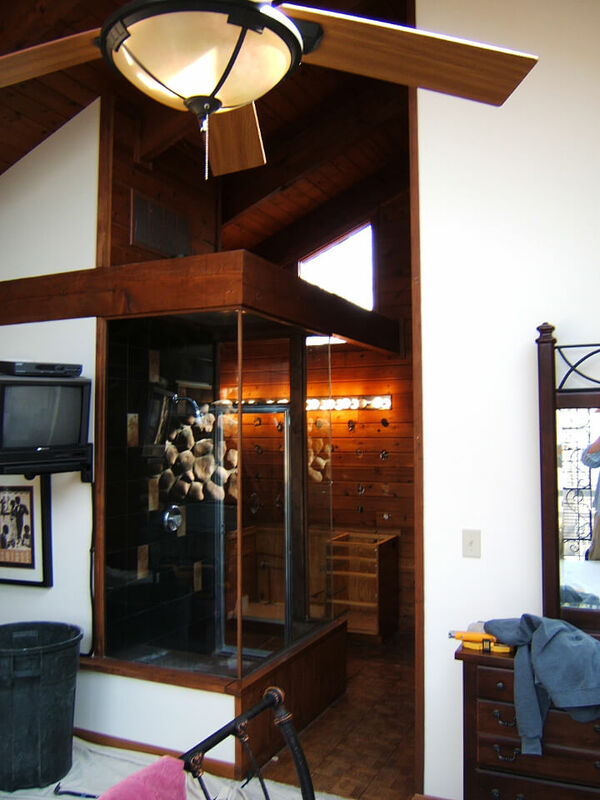 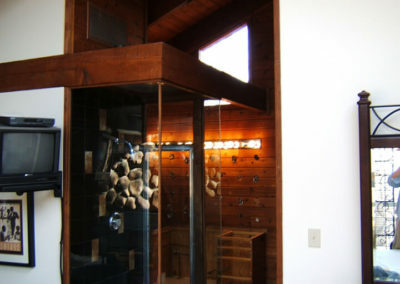 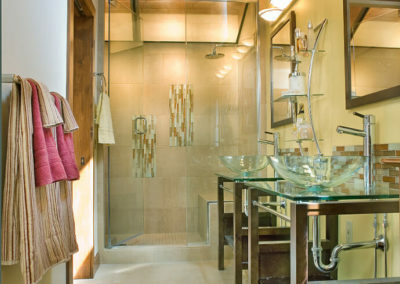 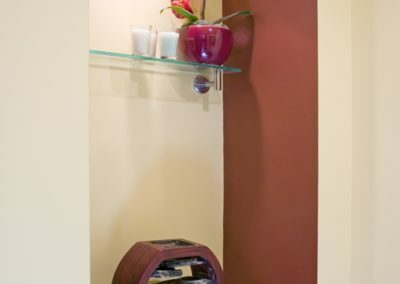 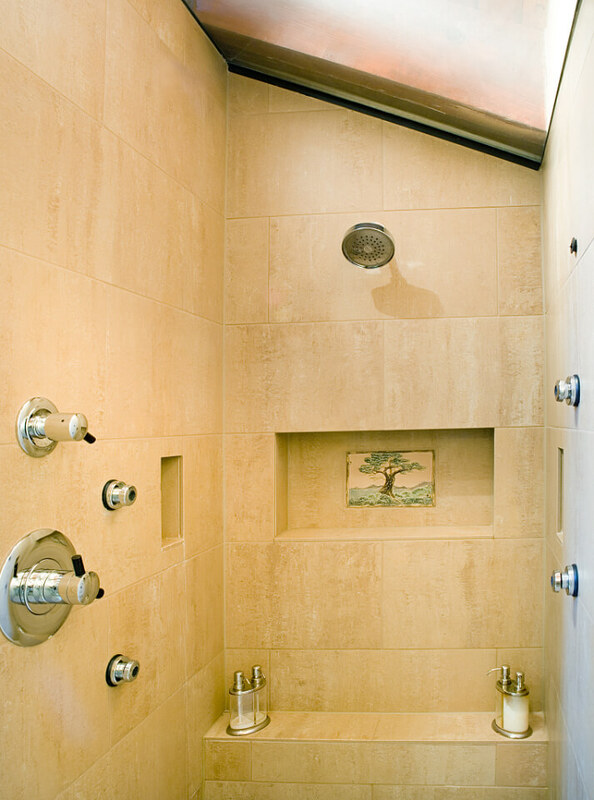 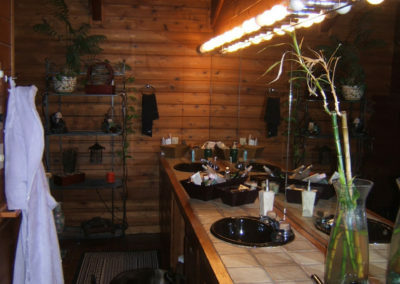 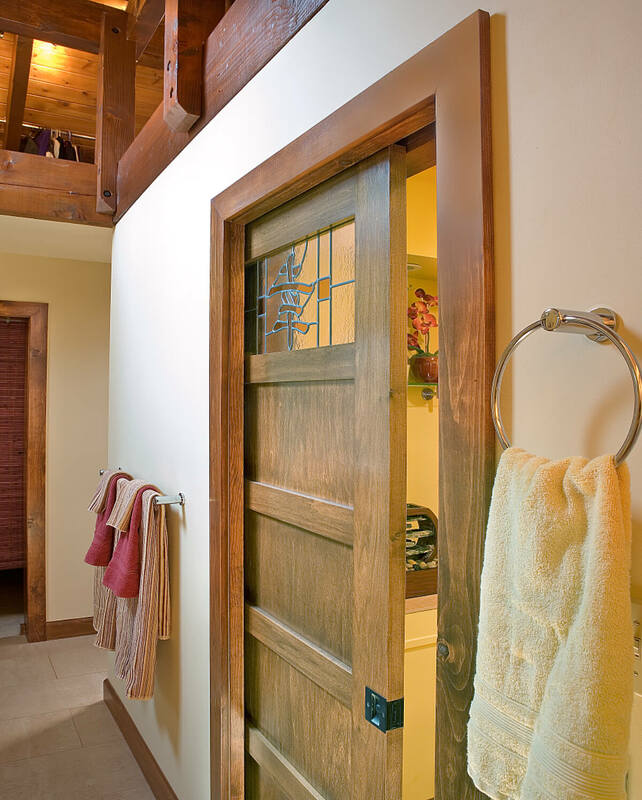 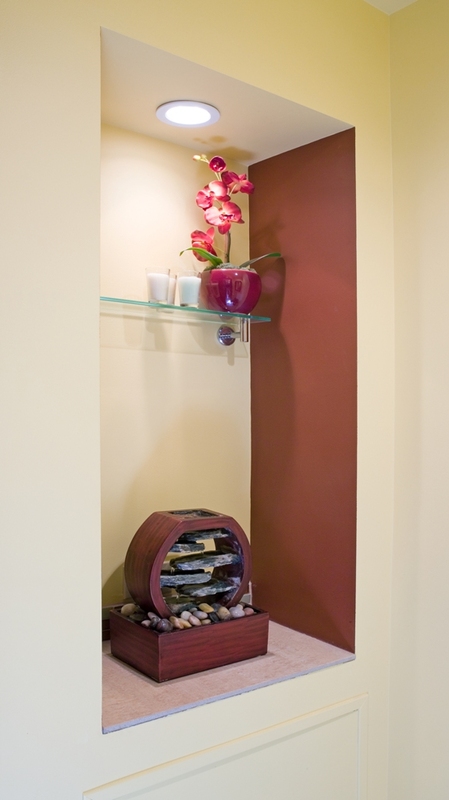 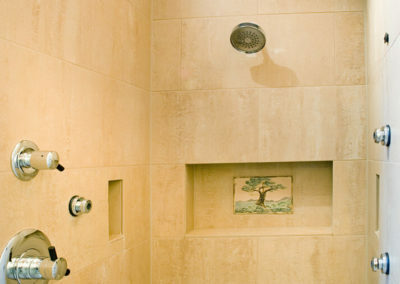 The main goals of this project were creating more privacy while maintaining the lighting, a larger steam shower, a private water closet, and the general sense of making the bathroom feel larger and brighter with an Asian flare. 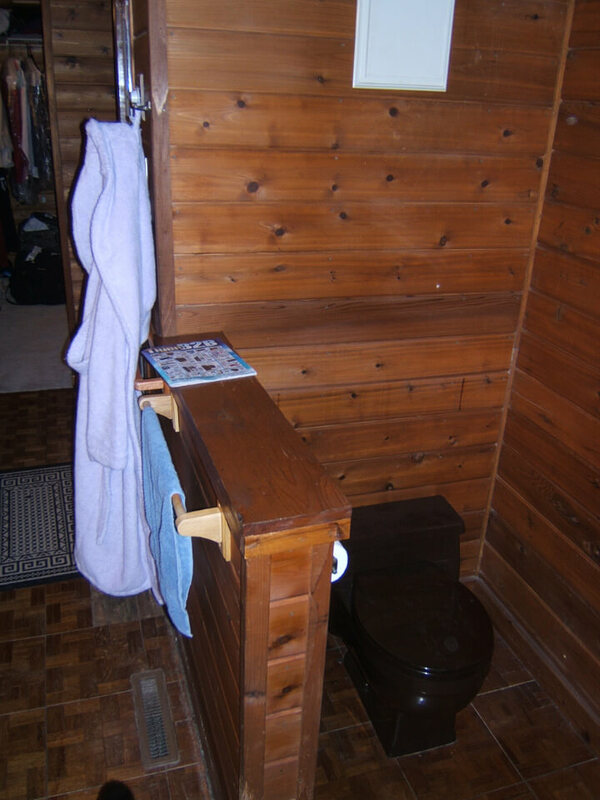 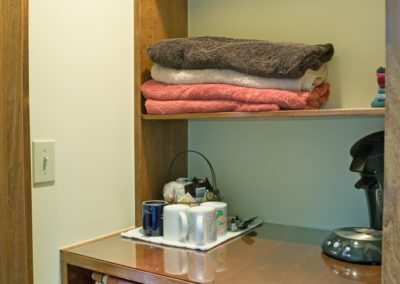 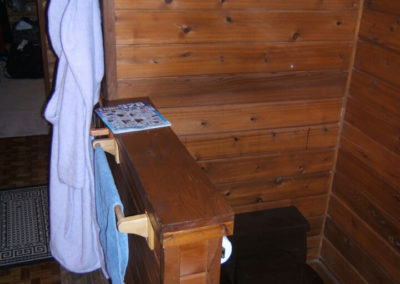 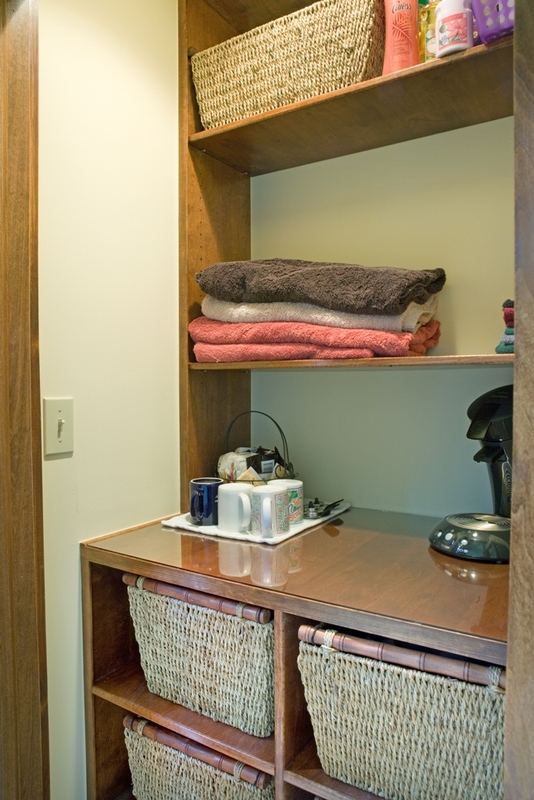 Additional storage was created behind the water closet for linens and daily use. 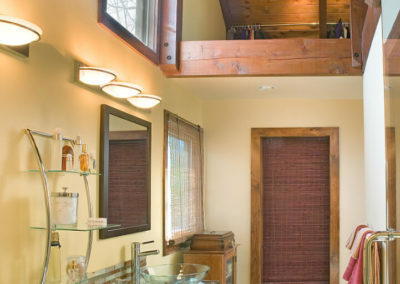 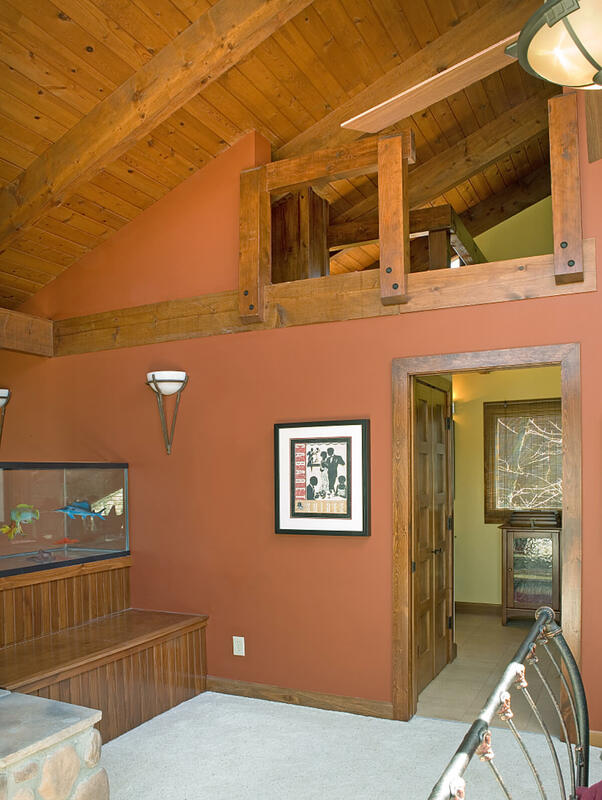 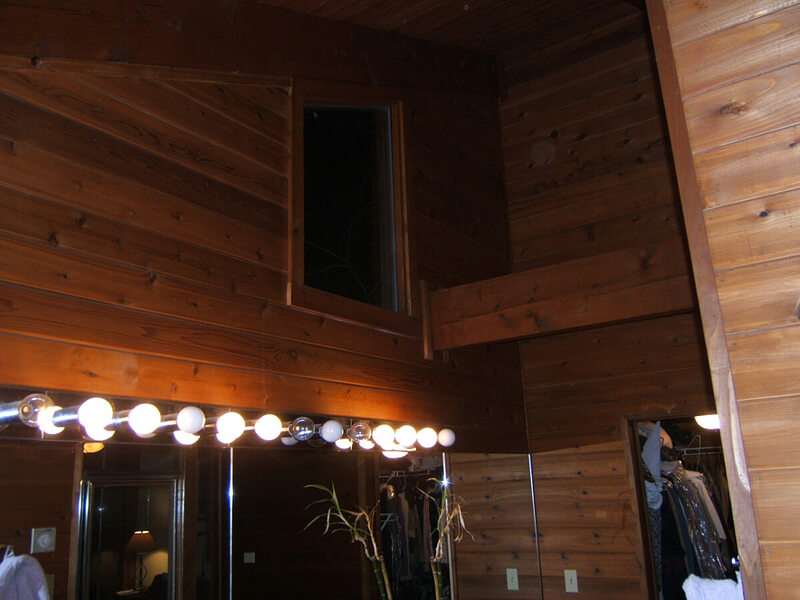 Unfinished storage above the master closet was finished for seasonal clothing and meditation. 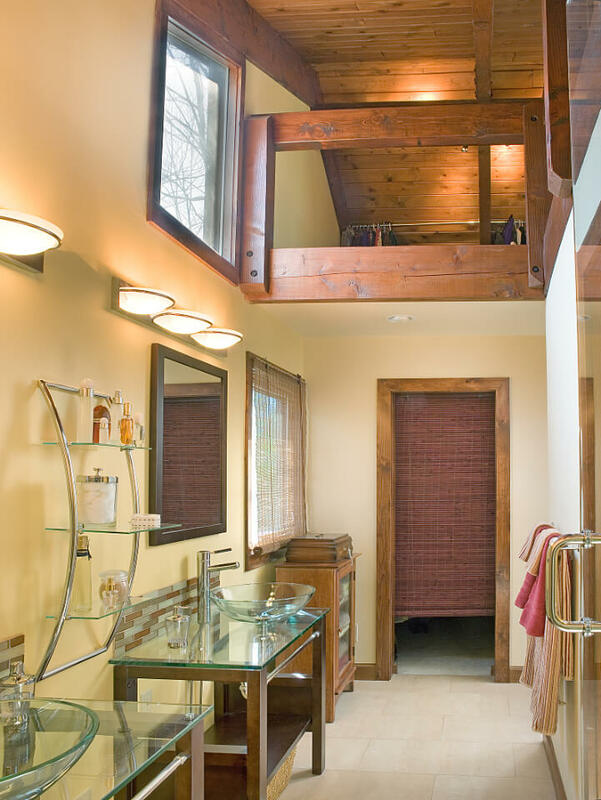 Access was provided by a library ladder from the bedroom.